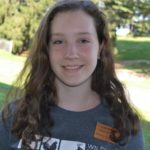 This week’s blog post is written by Julia, a Bucktails and Bass alumni. 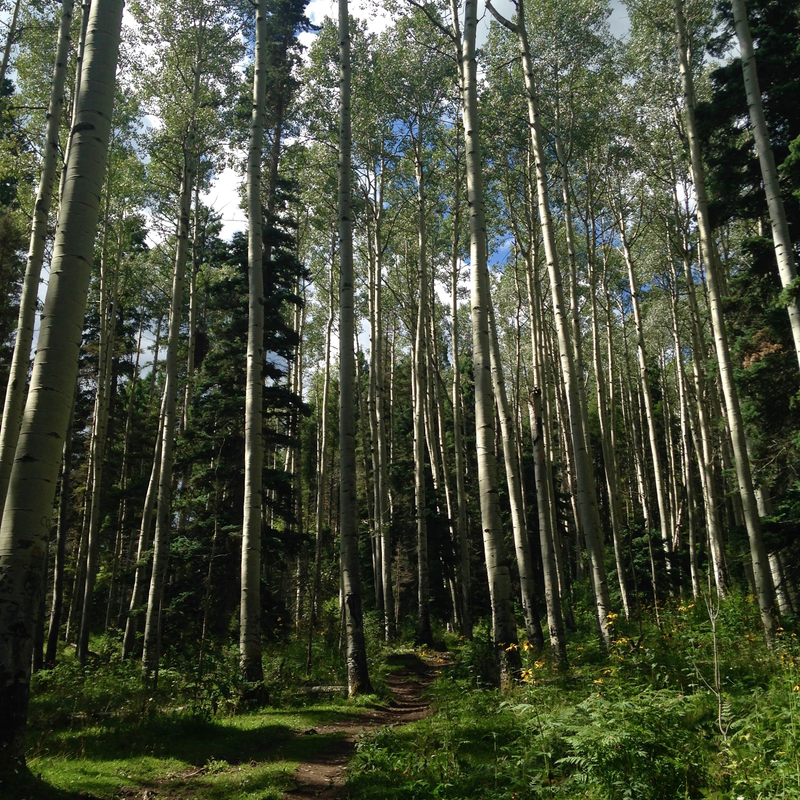 She gives us some great information about the quaking aspen – she took her excellent accompanying photo while in Carson National Forest in New Mexico this past summer. No other tree in North America occupies as large of a native range as the quaking aspen. Reaching nearly from coast to coast, aspens can live in 46 out of the 50 states, including Pennsylvania, though they thrive in cooler temperatures farther North. One of the reasons for quaking aspens’ widespread presence is their tolerance of many soil textures and pHs. They can also live at a wide range of elevations, though they prefer 5,000 to 12,000 feet above sea level. Aspens grow quickly enough to outcompete other plant species when colonizing newly exposed soil, and are extremely difficult to kill. Most of all, however, quaking aspens are hardy because one aspen plant, a “clone,” resides underground as a large system of roots that connect every tree visible in a stand of aspens. By cutting down one tree, or even every single tree, the from one to twenty acres of roots underneath live on and can still sprout up trunks. This method of asexual reproduction ensures that aspens have extremely long lives. Possibly the oldest living thing on Earth is an aspen clone in Utah. It is 80,000 years old! But aside from this amazing colony-like reproduction, aspens can also reproduce sexually as a flowering plant after severe fires or under just the right conditions. Amazingly, quaking aspens have another defensive mechanism that ensures their extreme hardiness. During winter, aspens can continue photosynthesizing even after losing all their leaves. The trick is the photosynthetic layer under their thin white bark that enables them to make sugars with the energy from the sun even when other deciduous trees are dormant. That means that they remain available as a food source for forest mammals when little else is active. 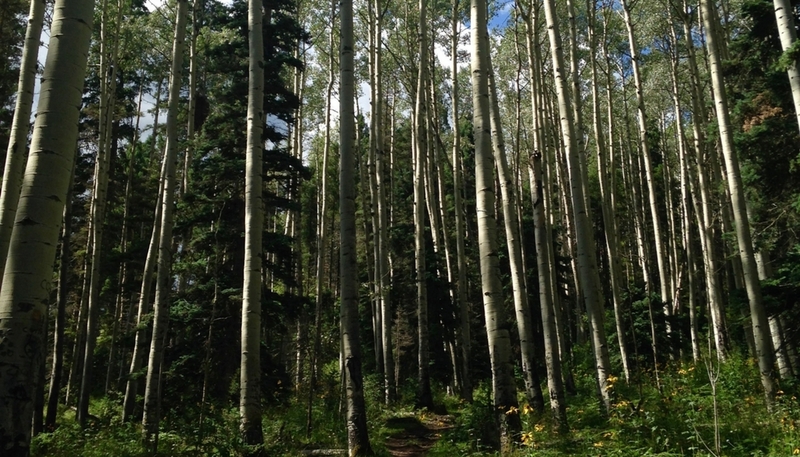 The final exceptional attribute of the quaking aspen is their “quaking.” During the summer, aspen leaves are dark green on the top and lighter green on the bottom. During the fall, the leaves are bright yellow on top and lighter yellow on the bottom, but during either season when a breeze hits a stand of trees, the leaves shake creating a quivering or shimmering effect. The reason that aspens “quake” has to do with the way that the leaves attach to the petioles (leaf stems). Each leaf attaches to a long, thin flat petiole, different from most petioles that are round, that is at a 90-degree angle to the leaf, not in the same plane. This allows the leaves to tremble when hit with some wind, and the effect is exaggerated by the differing shades of green or yellow on the leaves’ tops and bottoms. Because aspens are useful, widespread, hearty, unique, and beautiful, they are easily some of the most fascinating trees.